AUTOSORT COLOR enables sorting operations to extract and sell glass that would otherwise fail to make it through to the recycling process. AUTOSORT COLOR also helps sorting businesses minimize the risks of disruption, downtime and repair costs arising from damage to components in sorting machines not intended for glass. AUTOSORT COLOR enables financial savings downstream of the sorting process, because household waste containing glass can result in higher incineration costs. Extracting more glass from MSW also helps to reduce landfill costs. Click here to see the AUTOSORT Color Animation. "We started with AUTOSORT LASER for glass cleaning from the single stream plants. 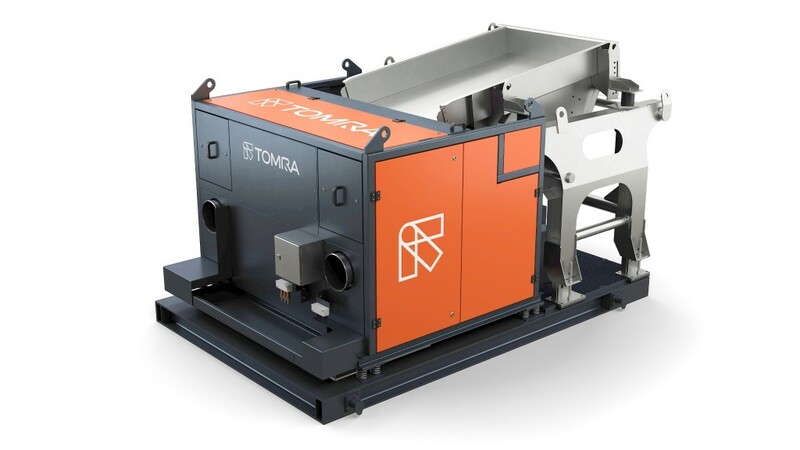 Now, many municipalities and recovery facilities can significantly improve the recovery of glass from household and business waste," says Carlos Manchado Atienza, TOMRA Sorting Recycling Regional Director Americas. "Separating more glass from the waste stream is better for the environment and better for sorting businesses' profitability, and with AUTOSORT COLOR both of those benefits are now achievable." During AUTOSORT COLOR development, TOMRA established industry standard-setting goals of recovering a minimum of 80% of glass from MSW with more than 95% of the recovered glass of saleable quality. These targets were consistently met over many months at four test facilities, including one that separates up to 3,300 tons of glass annually. These high recovery rates were made possible by a two-machine sorting process, first using AUTOSORT LASER and then AUTOSORT COLOR. The first step in the process of removing glass from MSW is pre-treatment. After the MSW passes through a bag opener or shredders, conventionally the fine fraction (0-3 in) is screened-out. This fraction is then split into three categories by a double-deck vibrating screen: fine fractions of 0-0.25 in diameter, such as organic waste and sand; a middle fraction of 0.25-2.5 in; and an oversize fraction of 2.5-3 in. In the third and final step of the process, the innovative AUTOSORT COLOR machine classifies the glass fractions with a high-performance camera and separates any remaining impurities from the higher-quality glass. The result is the recovery of saleable glass with a consistently high purity of more than 95%.